The Former Speaker, Federal House of Representatives, Rt. 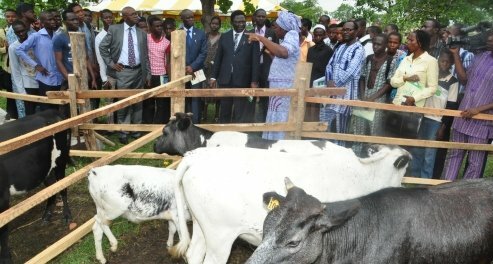 Honourable Sabur Dimeji Bankole will on Wednesday October 10, 2012 deliver the maiden edition of the Commencement Lecture to usher in the 2012/2013 Academic Session of the Federal University of Agriculture, Abeokuta (FUNAAB) in the University campus. The Vice-Chancellor, Professor Olusola Bandele Oyewole made this known last Wednesday, at the 2012 Yam Roasting Festival of the University. Professor Oyewole commended the entire Bankole family for their unflinching support to the University, noting that it will outlive them.